Domenic is a dedicated, trusted and caring individual who’s passionate about his business, helping people and not afraid to challenge the status quo. He has Integrity and believes in doing the right thing. Domenic experienced the challenges his father had when diagnosed with Cancer while being the Care Giver for Domenic’s mother who was diagnosed with Alzheimer’s Dementia. He understands the pressures and stress on the family during these difficult times. 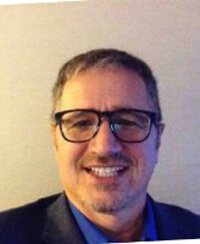 Domenic has worked in the Medical and Pharmaceutical Fields for over 30 years working with Hospitals, Long Term Care Facilities, Pharmacies, Family and General Practitioners, Nursing and Specialists in Psychiatry, Geriatrics and Neurology. He has held positions in Sales, Marketing, Management and Leadership roles. He understands and appreciates the value of the customer he learned during his time in managing Customer Service and Customer Support. Domenic lives in Barrie with his wonderful wife Deborah. Together they have 5 kids, 3 grandchildren and two more on the way. He is dedicated to helping “Change the Way the World Ages” by providing older adults with quality care, enabling them to live happier, healthier lives at home. Deborah understands the meaning of care. From an early age, she became responsible for the care of her younger siblings, to babysitting the many children in her community, to her first real job as an aid in a Long-Term Care Nursing Home, the care of her own children, parents and grandmother. It was only natural that Deborah’s career path led her to Nursing for over 20 years, caring for newborns to chronic and palliative care patients. Loving the Health Care Industry, Deborah returned to school for her Pharmacy Technician Diploma and enjoyed Hospital Pharmacy to Retirement/Nursing Home Pharmacy Audits. Through the years of raising her family in a busy community where volunteering is a staple, to friendships, hard work, giving back and caring for others, Deborah was an active member of the Kinsmen/Kinette Clubs for many years. The integrity and strength she absorbed while providing a valuable service to others remains with her for life. Deborah used these qualities while caring for her Grandmother, travelling 2 hours there to attend to her needs. She was there for her parents during their last breath and provided love, comfort and support to the families. Deborah’s happy, loving and positive attitude brings smiles and laughter to those around her. She always has time for people. She loves life, having fun and going the extra mile. 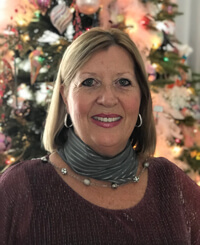 After the last few years as a long-distance Grandmother, moving to Barrie allows Deborah to spend quality time closer to her family, while she pursues her passion for Care with her husband, Domenic in “Changing the Way the World Ages” at Home Care Assistance.